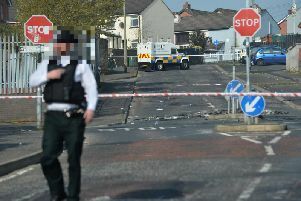 Three men have been arrested by detectives from Serious Crime Branch investigating dissident republican terrorist activity. A PSNI spokesman said a 44-year-old man was arrested in Pomeroy, Co Tyrone, a 37-year-old man was arrested in Toomebridge Co Antrim and a 38-year-old man was arrested in the Lisburn area. The men are being interviewed at a police station in Belfast.